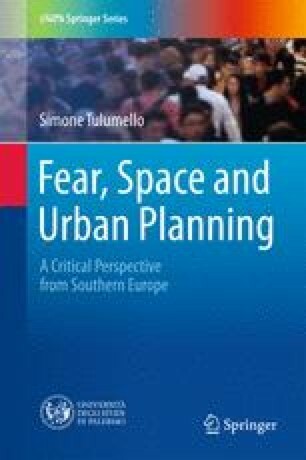 Something has been happening since the early 1990s: it is not necessary to be a scholar to have noticed that, in cities, in the media or in public and political discourses—in contemporary Western societies, in short—the use of the terms safety and security is becoming more prevalent everyday. Western citizens are more concerned with security than members of most other societies, both present and past. This chapter questions why citizens feel unsafe and constantly under threat despite living in the safest societies ever. Some recent trends in the global and Western arena are debated with the aim of unpacking the connections between security as a social demand and a political goal, and the ways these may have been boosting public fear of crime and violence. Specifically the role of political and media discourses (and misinformation) for growing perceptions of insecurity is unravelled—and two examples of discourses that have been making use of fear to influence urban and social policies are presented (Charles Murray’s ‘underclass’ theory and the discourse on the decline of the American city). Finally, the chapter discusses the cases of Italy and Portugal, describing the processes that have recently brought about a restructuring of the security policymaking in these countries, and suggests a reconsideration of Western trends from a Southern European perspective. Agamben, G. (2015). De l’etat de droit à l’etat de sécurité. Le Monde, 23 December. www.lemonde.fr/idees/article/2015/12/23/de-l-etat-de-droit-a-l-etat-de-securite_4836816_3232.html. Accessed 1 June 2016. Atlanta, J. F. (2013). Why does America have such a big prison population? The Economist, 14 August. www.economist.com/blogs/economist-explains/2013/08/economist-explains-8. Accessed 1 June 2016. Dipartimento di Pubblica Sicurezza (2007). Rapporto sulla criminalità in Italia. Anno 2006. www1.interno.gov.it/mininterno/export/sites/default/it/assets/files/14/0900_rapporto_criminalita.pdf. Accessed 1 June 2016. Human Rights Watch (2007). Italia: Il Decreto di espulsione prende di mira i romeni. https://www.hrw.org/it/news/2007/11/06/232330. Accessed 1 June 2016. ISTAT (2010). Reati, vittime e percezione della sicurezza. Anni 2008–2009. www3.istat.it/salastampa/comunicati/non_calendario/20101122_00/testointegrale20101122.pdf. Accessed 1 June 2016. Murray, C. (2005). The advantages of social apartheid. Sunday Times, 3 April. www.aei.org/publication/the-advantages-of-social-apartheid/. Accessed 1 June 2016. Osservatorio Europeo sulla Sicurezza (2011). La sicurezza in Italia e in Europa. Significati, immagine e realtà. 2010. www.fondazioneunipolis.org/wp-content/uploads/2011/07/Rapporto-completo-La-Sicurezza-in-Italia-e-in-Europa_Gennaio-2011.pdf. Accessed 1 June 2016. Osservatorio Europeo sulla Sicurezza (2014). ‘La grande incertezza’. Rapporto sulla sicurezza e l’insicurezza sociale in Italia e in Europa. www.fondazioneunipolis.org/notizie/disponibile-on-line-il-nuovo-rapporto-sulla-sicurezza-3/. Accessed 1 June 2016. The Economist (2015). The fire and the fuel. What a dead white man can teach America about inner-city decay. The Economist, 9 May [unsigned article]. www.economist.com/news/united-states/21650533-what-dead-white-man-can-teach-america-about-inner-city-decay-fire-and-fuel. Accessed 1 June 2016. Transatlantic Trends (2014). Transatlantic trends: Mobility, migration and integration. http://trends.gmfus.org/files/2014/09/Trends_Immigration_2014_web.pdf. Accessed 1 June 2016. Tulumello, S. (2014). Local policies for urban security and spatial planning in the metropolitan area of Lisboa: The cases of Lisboa, Cascais and Barreiro municipalities. Estudos e Relatórios ICS, 5-2014. http://repositorio.ul.pt/handle/10451/15721. Accessed 1 June 2016.